Soya Beans are a powerhouse of protein, especially for vegetarians. It prevents the risk of heart diseases, aids in lowering cholesterol, helps in weight loss, regulates metabolism amongst several others. Navratri is a time when every household makes atleast one sundal variety each day. 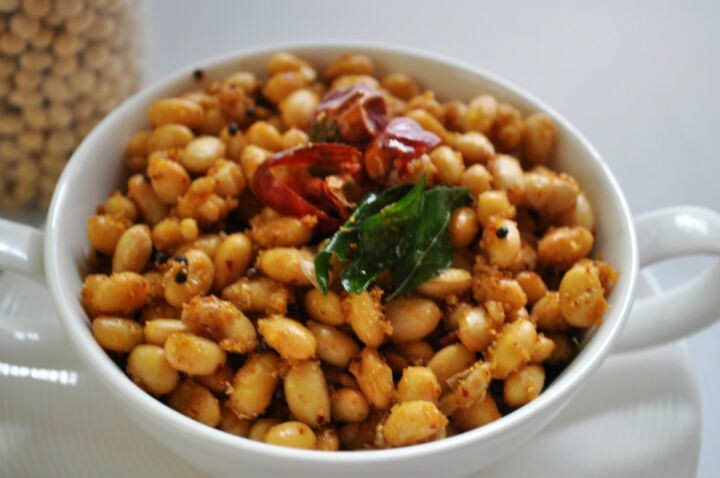 Why not include this protein rich legume and make it a tasty evening snack. 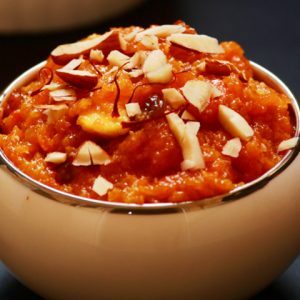 This sundal is very easy to make and can be served to guests as well. Soak the soya beans over night in water. Drain the water and rinse wash them thoroughly. Add little water and needed salt and pressure cook them for 6 whistles. Add the mustard seeds, urad dhal, curry leaves, asafoetida and temper it. Add the ginger, garlic, onions and saute until onions turn soft. Add the tomatoes and cook till it is mashed well with onions. Add the turmeric powder, coriander powder, garam masala powder, chilli powder and salt. Now add the cooked soya beans and mix until the masala is coated well to the beans. If needed, sprinkle some water and mix well. Feel free to comment or share your thoughts on this Soya Beans Masala Sundal Recipe from Awesome Cuisine.